Welcome to the summer edition, of what is now becoming a monthly roundup of what I consider to be some of the best SEO and internet marketing article. Without much ado, here are some of the most exciting and informative articles I came across during the month of June 2017. “7 Core Principles to Gain Abundant Social Media Leads” by Sam Hurley on digitalcurrent blog. 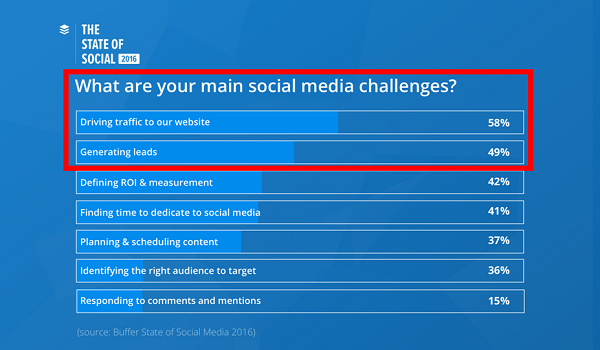 According to the recent research, in France, Germany and UK only 44% of organizations are using social media to communicate with customers. “Google: We Can Ignore Links On Any Site Including Forbes & Entrepreneur” by Barry Schwartz on SERoundTable. Garry Illyes from Google said that his company is very good in identifying bad, unnatural links. So even if you got a link from such trusted sites as Forbes or Entrepreneur, it does not guarantee that Google will treat this link. “How to reduce the impact of images on your mobile site speed” by Andy Favell on Search Engine Watch. On mobile devices images could be one of the problem why your site load speed is not very good. “Google: How to Create Better Meta Descriptions” by Matt Southern on Search Engine Journal. As usual Google does not say anything special regarding this. Their main recommendation is to write meta description for the people and not for the robots. Since it could be displayed as site snippet, you need to pay attention to this meta tag. “The Comprehensive List of What Needs to Be Above the Fold on Your Homepage” by Neil Patel on quicksprout blog. Were visitors look: 80% of their time above the fold and only 20% of their time below the fold. Contact info, logo, simple navigation etc. Call to actions must be well written too and be in the right position. “30+ Experts Reveal Best Marketing Channels to Drive Massive Traffic” by Bill on billwidmer blog. I like different roundups because after reading just one of them you can get a lot of new ideas from proven gurus. This one is about marketing channels and driving traffic. Most people were talking about Google the rest about social media and email marketing. “5 rules of social media automation” by Alina Gorbatch on awario blog. Personal for me I’m using some social media automatic tools but only few of them, like posts scheduling. I think it is quite difficult to find a tool you really need. Hootsuite can do a lot but not everything. “5 Magnetic Retention Concepts + 15 Tools You Can Use Today” by Sam Hurley on postfunnel blog. “162 Best Ecommerce Site Designs of 2017” by Tracey Wallace on bigcommerce blog. As you can see from the title of the article it is very big post. As a person who works as web-designer I can say that it is the highest quality list of sites. Some ideas are very interesting and I’m sure other designers can use some of them in their work.